Events are a huge part of the fashion calendar and no one (I repeat no one) can throw a press party like Jean Queen Donna Ida Thornton. 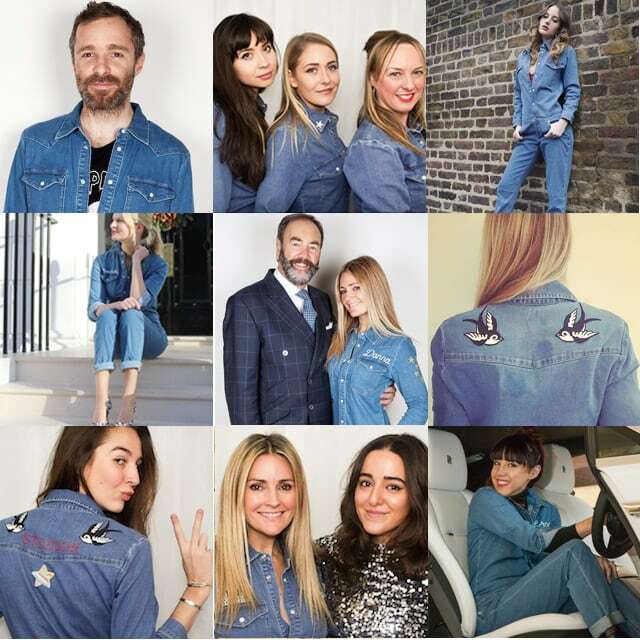 On 27th November (during peak press day time) I worked with Donna to help her launch THE hot new denim shape for SS16; Sadie the Boiler Suit. To add to this killer mix, Donna also wanted to add personalisation so we offered the option to customise. Name on the back? Sure! In pink? No problem! Few stars on the arm? Absolutely. Badges? Yep. Artist Daisy Emerson was on hand to add names on the back and Donna Ida girls (and Rolls-Royce girls) ironed those patches on in the most fashionable way possible darling! 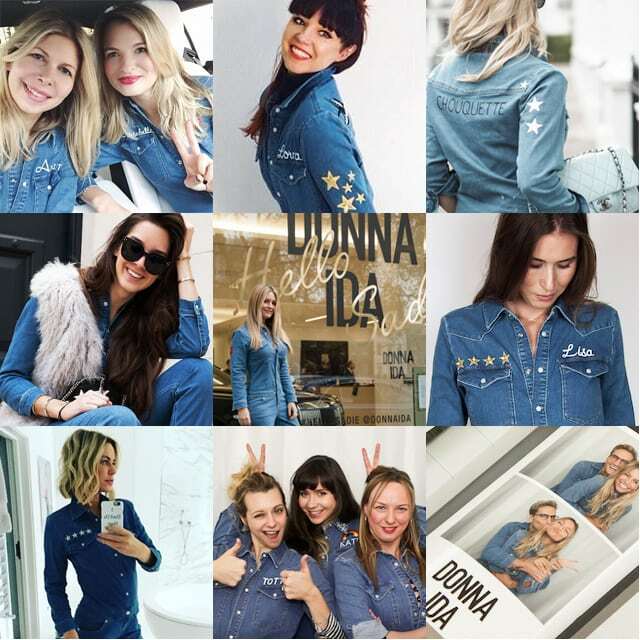 I hope you enjoy some of the results; you'll spot a few familiar faces including Edith Bowman, blogger LornaLuxe, Courtney Blackman and even Made In Chelsea's Oliver Proudlock! Take a look at my original blog post on Donna's Ida's blog here. Read more from Rosie Fortescue, LibertyLondonGirl, Arianna's Daily, WGSN, Chouquette, Stelouche Babouche, FashionFoieGras, Marissa Montgomery on Hello, The Industry. I'm wearing Sadie with a lace up body from Topshop & Valentino Rockstud Points. Photos courtesy of Donna Ida taken by Kate Gorbunova.